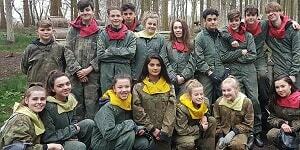 A kids' paintball party is a great idea for kids aged 10-17 years. 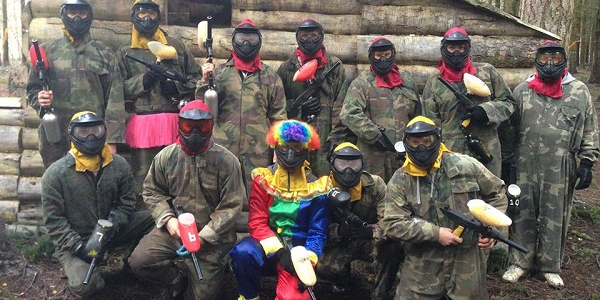 Book a kids' paintball party with us and it will be the talk of the class at school... sure Xbox is fun, but what could be more exciting than acres of woodland to run around and see just how good you really are? And as if our packages weren't already unbeatable, we have an extra special birthday gift for you! Book a party of 5 or more and receive a pair of paintball gloves worth £7 and an extra 100 paintballs worth £7.49 for the birthday boy/girl, plus a cake for your whole group FREE**! Can't quite find the perfect pressie for your friend? Not sure how to show them how much they mean to you? Then look no further! What better way to show your best buddy how important their friendship is to you than dressing them up in fancy dress and chasing them through woodland with guns all day!? **Min. 5 persons, birthday package must be mentioned at time of booking, one birthday per group. Valid on Adults and Kids 'Assassin' and 'Rambo' packages.